Matron Anne Hiscock takes a test drive ride on the Simple Up. Many x-ray examinations of knees, ankles and feet need to be done whilst a patient is standing. 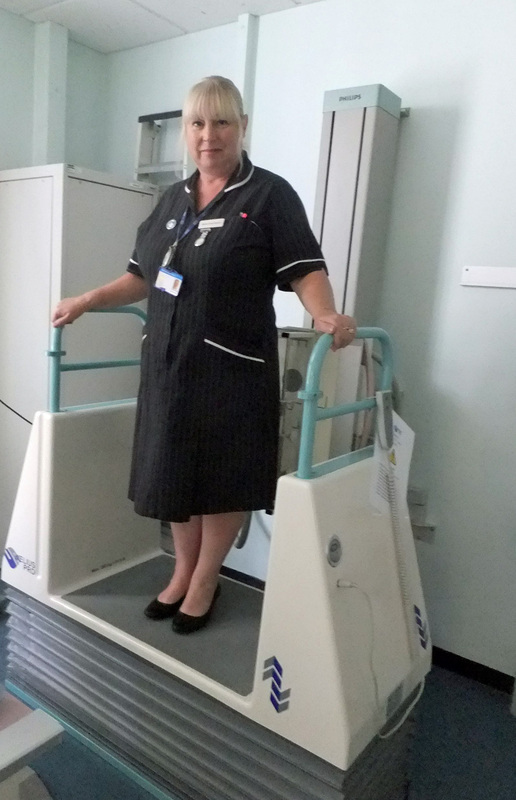 The Simple Up allows a patient to be safely elevated to the x-ray facility, having mounted just a three inch step. Especially beneficial for elderly and frail patients. Time-saving, safe, and easy to use.